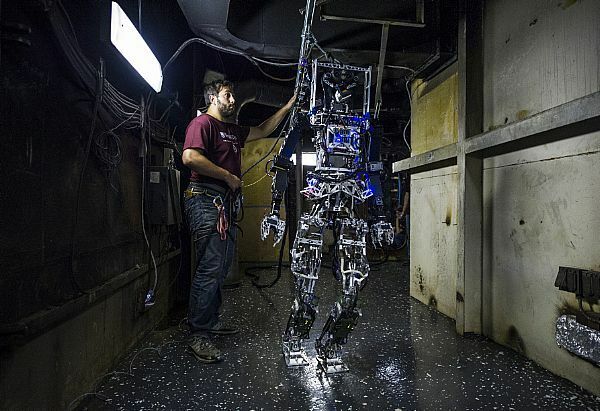 The U.S. Navy is experimenting with a robot designed to help fight fires on ships, but it’s not nearly fast enough to be effective yet. While it’s currently remote controlled, slow and can be damaged by fire and water, SAFFiR could get an extended awareness of its environment thanks to a drone that can fly through the cramped interiors of ships. Since military vessels carry ordnance, there’s heightened urgency to extinguish fires. Developed by engineers at Virginia Tech and backed by the Office of Naval Research (ONR), SAFFiR is equipped with stereoscopic thermal imaging cameras and a rotating LIDAR (light detection and ranging) laser sensor that allow it to navigate through thick smoke. 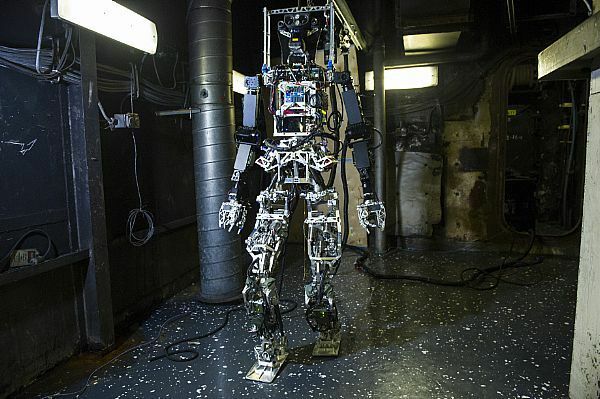 A bulky, 65 kilogram machine that’s not unlike the U.S. military’s humanoid rescue robot Atlas, SAFFiR requires a safety tether for now even though it has a whole-body momentum control system to help keep its balance on unstable surfaces. It has the ability to operate independently, but it’s being remotely operated by engineers in current tests. The drone developed by Carnegie Mellon University and spinoff Sensible Machines, however, does operate autonomously and performs all its computations onboard. It’s able to navigate through doors and smoke using a depth camera, which is similar to a Kinect 3D game controller, while using a downward-facing optical flow camera to keep track of its own motion. It’s 58 cm wide and has four small rotors, which currently only gives it a flying time of five minutes. The drone’s forward-looking infrared (FLIR) camera can find fires, estimate their temperature and help map their location on the ship. It can share that information with the SAFFiR humanoid, and could form a team to help sailors fight fires in the future.